FISH tests have had the widest usage in clinical laboratories. The individual probe sensitivities and specificities are generally very high. One caveat is that the exact origin of an imbalance that involves an additional Xp/Yp or Xq/Yq subtelomeric signal cannot be determined without additional analysis because of the shared homology within these regions. In general, the FISH test is able to detect any imbalance of a segment that contains a probe locus. Because this test has been in clinical use for only a few years, its level of specificity is less certain. An abnormal result in a proband should ideally be confirmed by FISH analysis with a second probe for the same region. Follow-up performance of a targeted FISH analysis on parental chromosomes to determine whether the imbalance in the proband is due to an inherited rearrangement is very important for genetic counseling. A significant proportion of abnormalities detected by sub-telomeric assays are familial in nature, and these cases may have significant risk for recurrence. Reports of families in which identical abnormal signal patterns have been found in a clinically abnormal proband and a clinically normal parent provide a note of caution for interpretation of results. 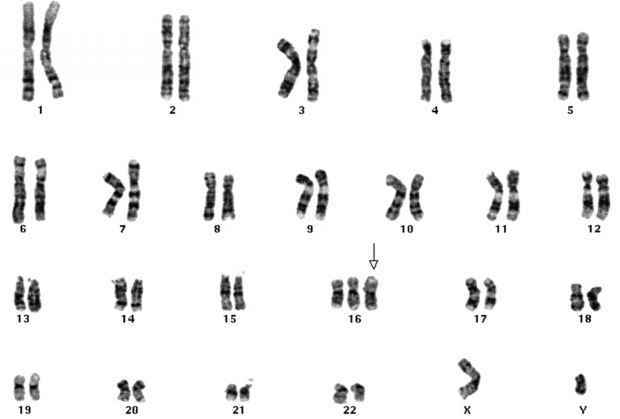 Such findings may indicate locus polymorphisms, imbalances for which there are no obvious clinical significances, or imprinted areas in which the parent of origin determines the clinical consequence of the imbalance.